Craigslist is one of the oldest and biggest websites on the Internet. Despite having passed its prime since the rise of web 2.0, it still is a reference for many people. This API will extract every piece of public information out of a list of Craigslist pages: From all the written data to potential email addresses. "Craigslist page or Spreadsheet URL": Choose a specific Craigslist page profile such as https://miami.craigslist.org/reo/d/haunted-house-for-sell/13371337.html or choose an open spreadsheet url with a list of Product Hunt profile URL's. If you haven't already, create a FREE account on Phantombuster. Now that you're connected to Phantombuster, Click on the following button to add the API to your account. In the 1st argument field "Craigslist page or Spreadsheet URL" you have to let Phantombuster know which Crigslist pages you'd like to scrape. You're all set! 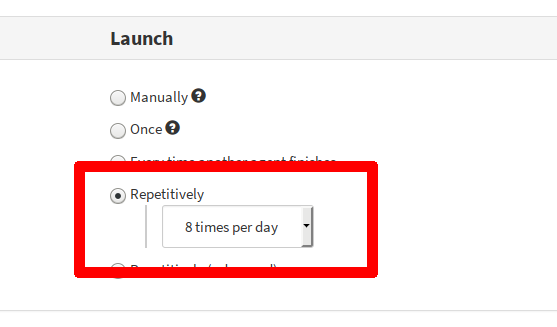 Launch the API manually by saving then clicking on Launch. If you happen to have a lot of pages to extract, you might want to do it over multiple launches.